While post-grad opportunities can be both exciting and overwhelming, one LVC grad is making a difference through her political and community activism in her first year out of school. Tamara Baldwin, ’18, believes her time at LVC served as a starting point for her career in activism. During her undergraduate years, she was a co-founder and President of the Black Student Union, President of the Feminist Collective, house leader of the Women’s Services and Gender Resource Center, in addition to other activism work. Once a sociology major here at LVC, Baldwin is now living in Philadelphia and taking her experience with political and community activism on campus to a much larger scale. Since graduation, Baldwin has worked with a variety of organizations and events such as The Sunrise Movement, city council campaigns, and most recently The Women’s March on Washington. The third annual Women’s March, which took place on January 19, was an incredible opportunity for Baldwin to utilize her passion and skills for activism. 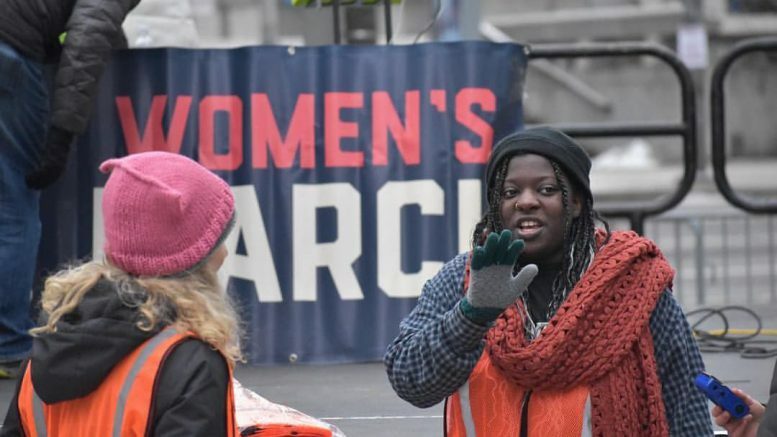 While her work with the March was incredibly rewarding, Baldwin had to overcome a few obstacles while helping to organize such a massive event. Additionally, Baldwin had to deal with controversy surrounding some of the leaders of the march regarding anti-Semitism. While many news platforms focused on this as a reason to denounce the march, Baldwin faced the issue directly. “Though the National Women’s March organizers have made their own statements denouncing anti-Semitism, we made sure that the Women’s March Pennsylvania chapter made their own statement making it clear that they, too, reject hate speech and anti-Semitism in all forms,” Baldwin said. Baldwin even admits that it is good to be critical of political work, even work one might be thoroughly involved in oneself. Regardless of both outside criticism and her own doubts, Baldwin feels the power of these types of movements and their potential for making changes. “One of the most difficult steps in building a movement is building the base, and here we have this annual event that pulls thousands of people out of their homes and into the streets, and if done right, will move people from the streets into organizations doing important work in their communities,” Baldwin said. Above all, Baldwin wants current LVC students, especially sociology majors, to know that there is an endless number of options for students after they graduate. Baldwin hopes to continue her work in organizing, while also demonstrating the opportunities available for students in the scary, post-graduation world.